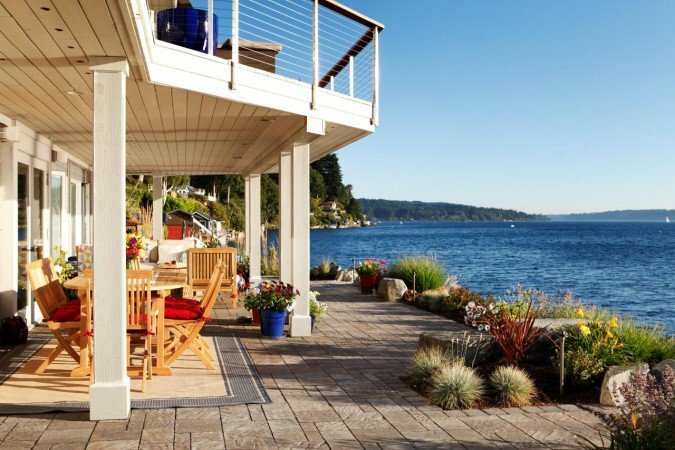 For many, summertime means going to the lakeside home and spending blissful days and nights boating, swimming, relaxing and enjoying family and friends. 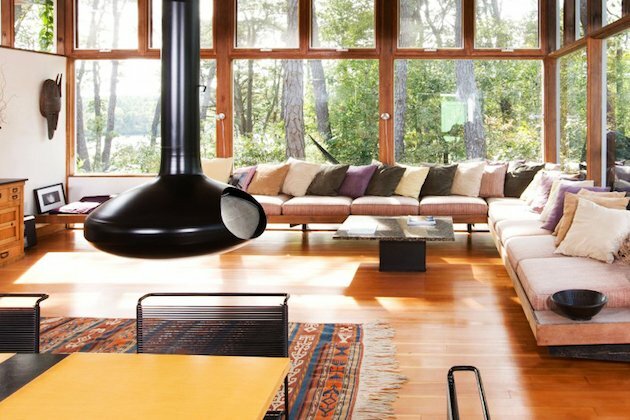 For those lucky people and those that do not have the luxury of a lakeside retreat, here is a sampling of lakeside interiors that will inspire you and perhaps give you a few ideas on how to achieve this relaxed look in your own home, wherever it is. 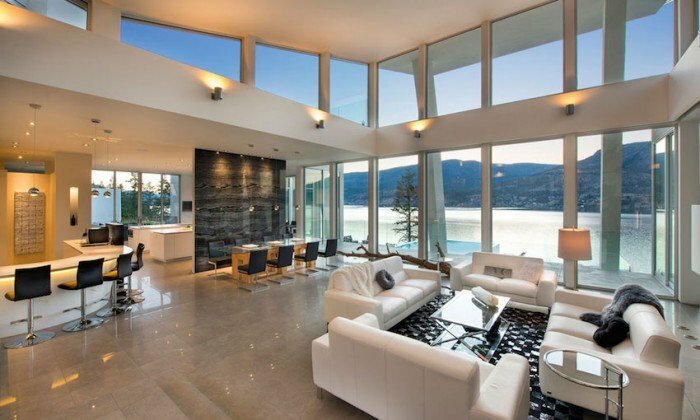 The view is the reason lakeside homes are so appealing. 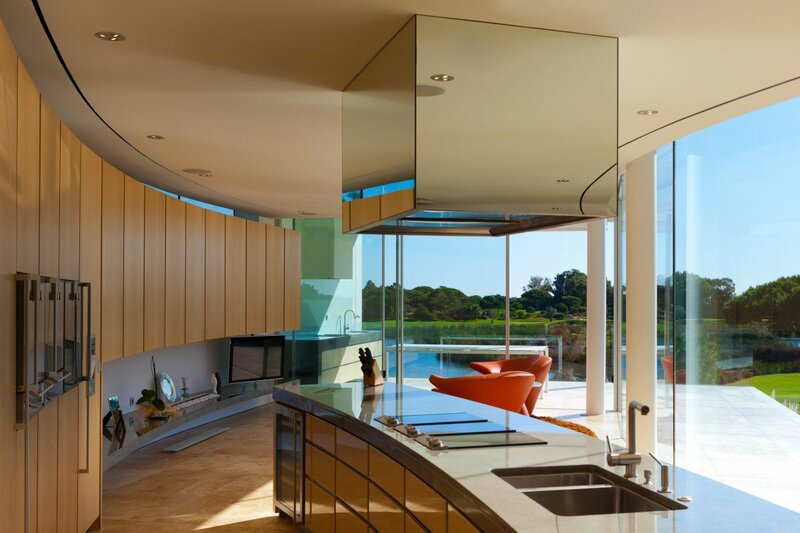 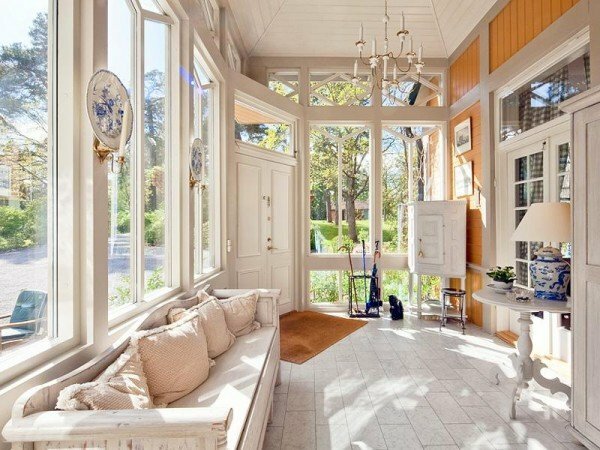 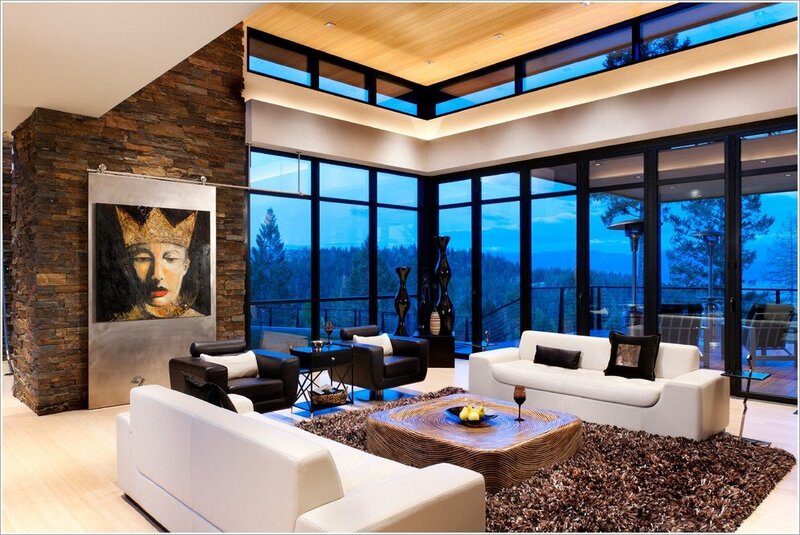 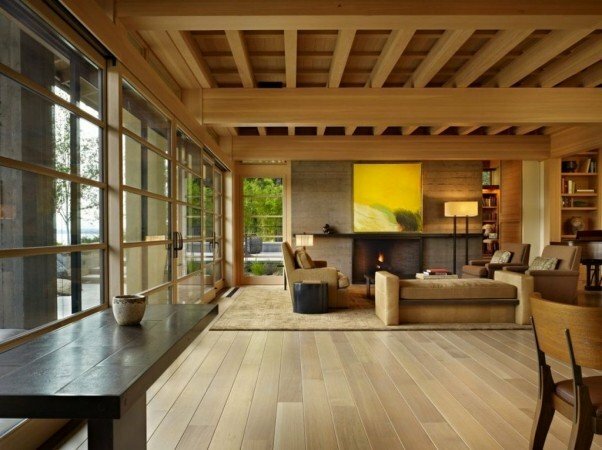 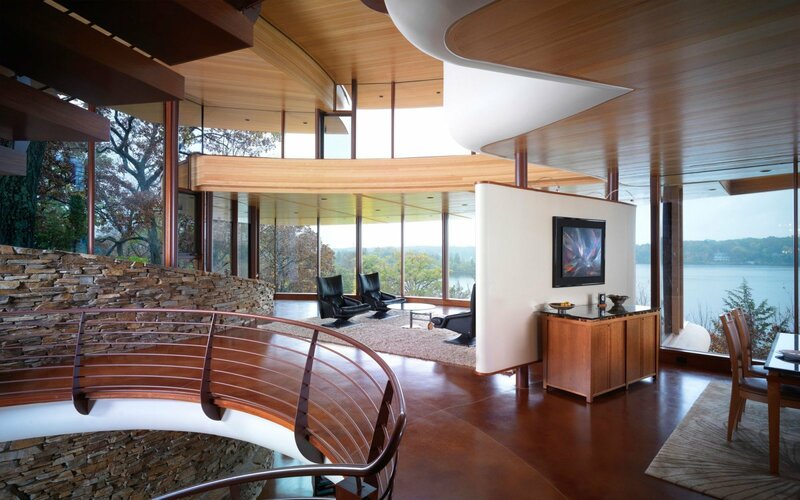 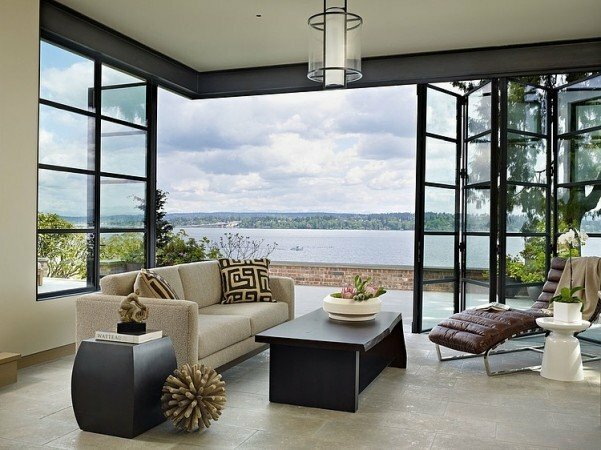 This is why windows are the prominent element in any lakeside home interior. Unadorned and easily accessible, windows are the focal point. In the modern lakeside home, windows are simple and span the width and height of lakeside rooms. 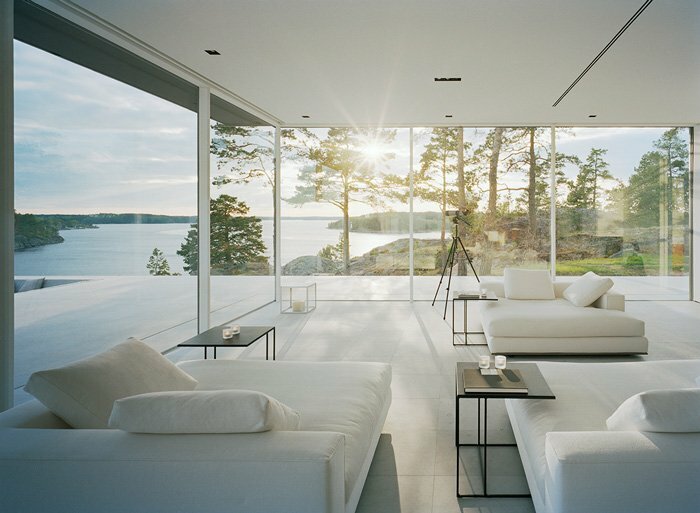 Minimal ornamentation is required, thus not taking away from the view. 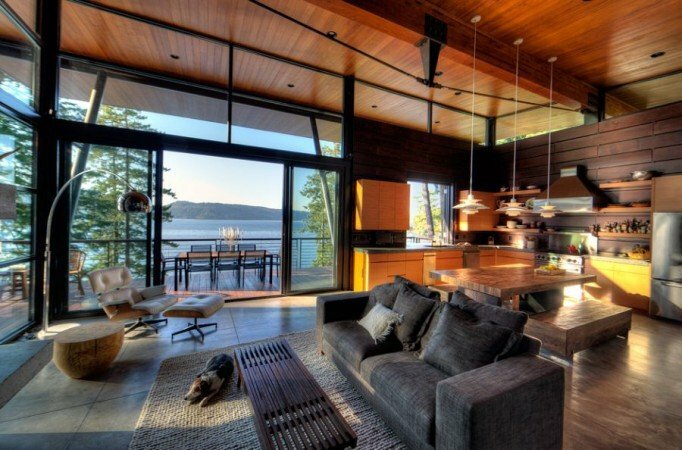 Modern lake homes take full advantage of panoramic views and unique architectural design. 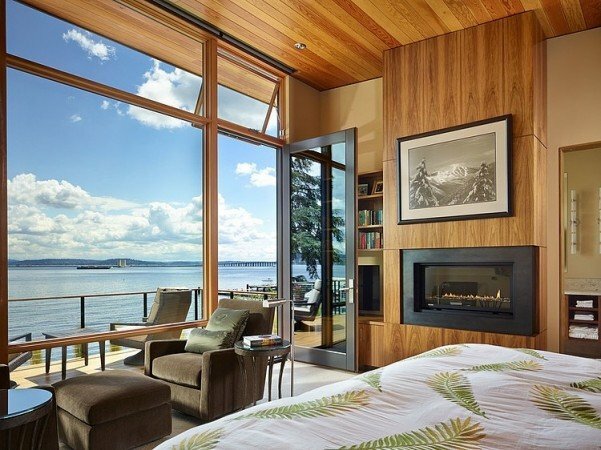 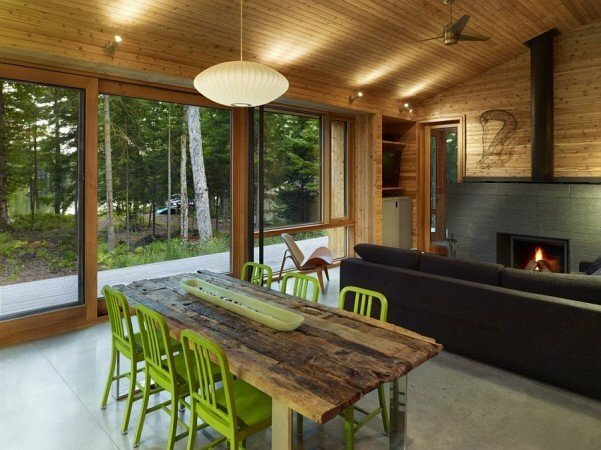 The use of natural materials enhances the modern lakeside home. 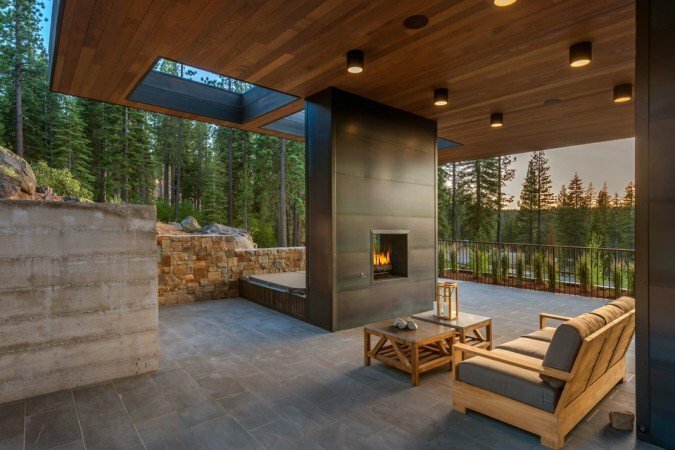 The overall design can be minimal to highlight the view and architecture, or the view can be shared with a secondary accent such as a dramatic fireplace. 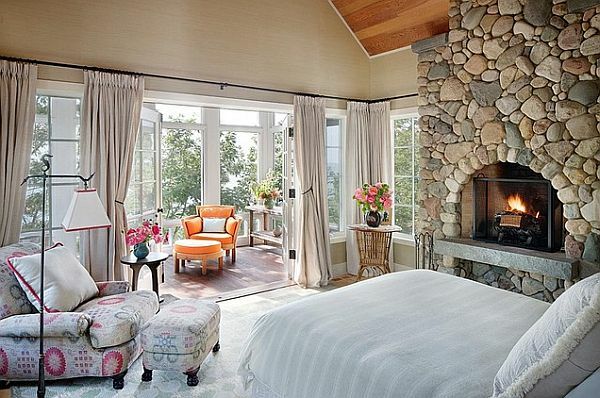 Furnishings can be arranged for equal access to the view and fireplace. 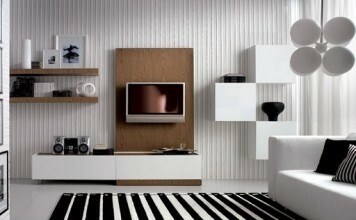 Comfortable modular sofas, accent chairs and ottomans can be moved to accommodate the space. 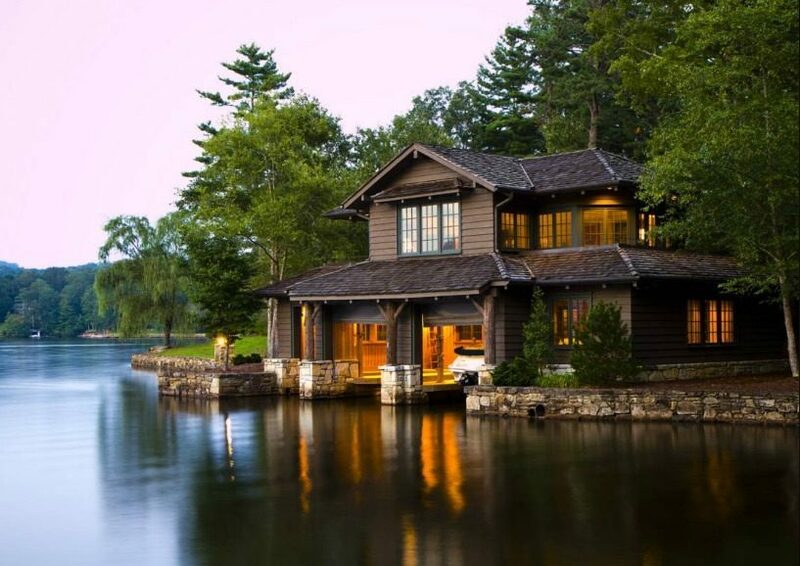 Traditional lake homes are generally designed with rustic appeal in mind or simple, bright spaces with classic furniture and accents. 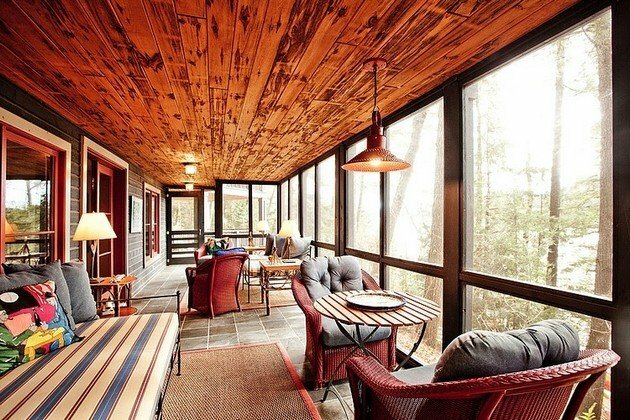 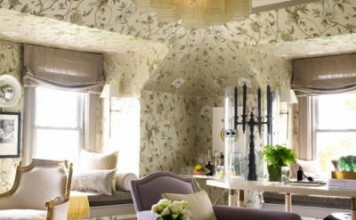 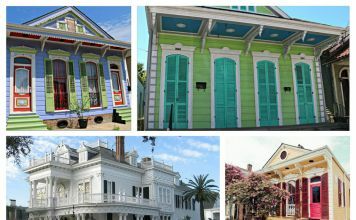 These interiors often have a sense of history, where generations of family have enjoyed summers for decades. 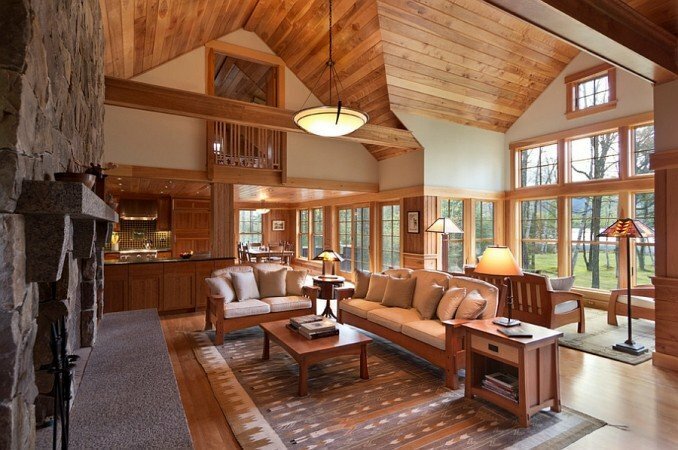 These spaces are cozy, warm and welcoming with plenty of windows to take in the views. 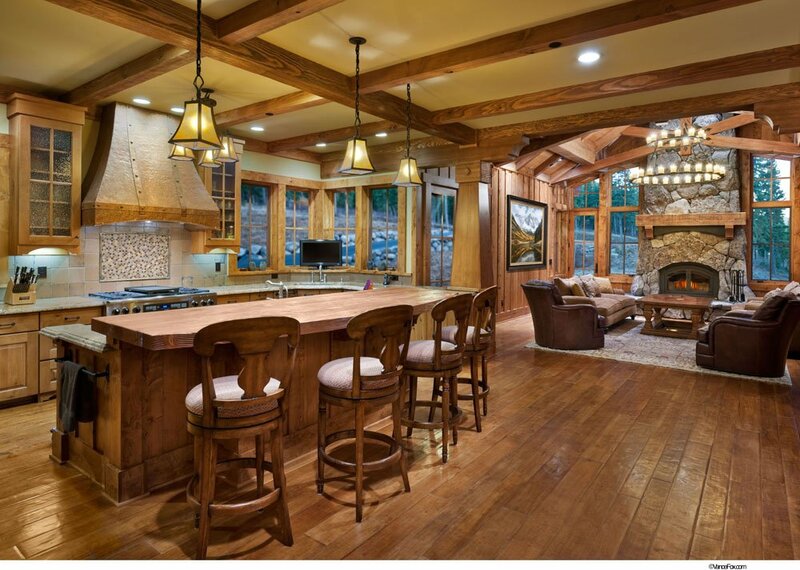 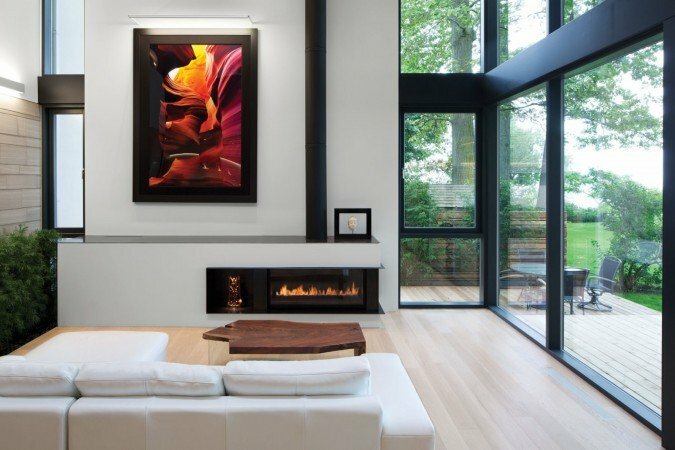 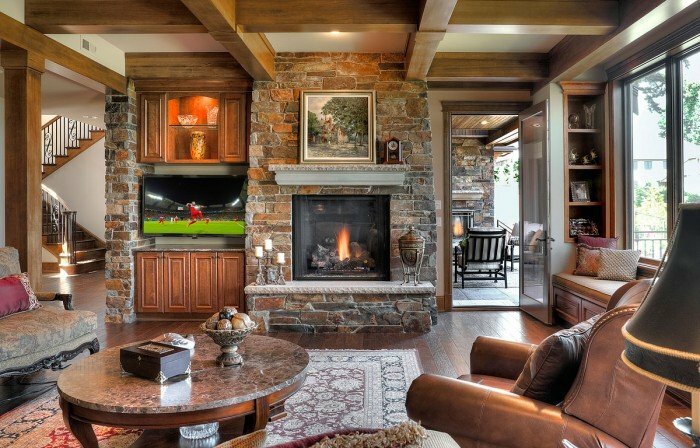 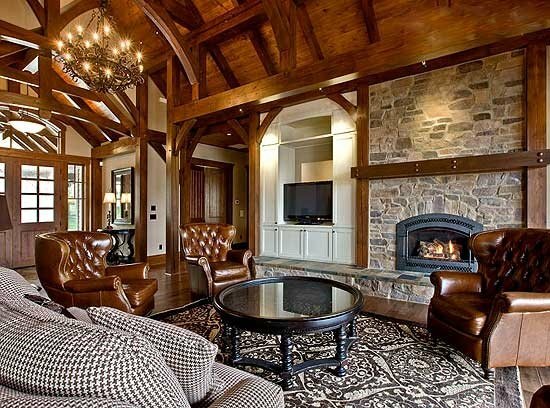 Often, fireplaces are surrounded by stone and warm wood tones prevail throughout. 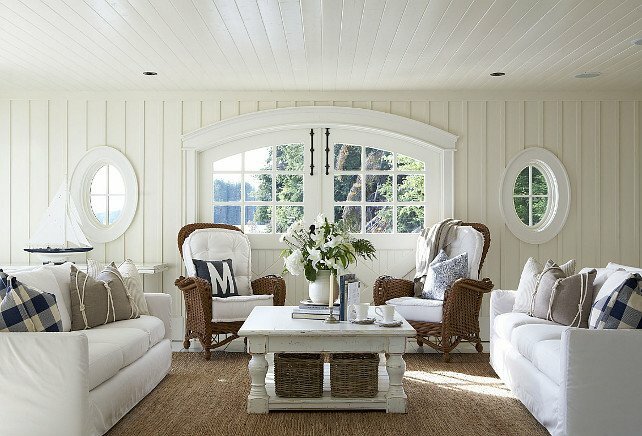 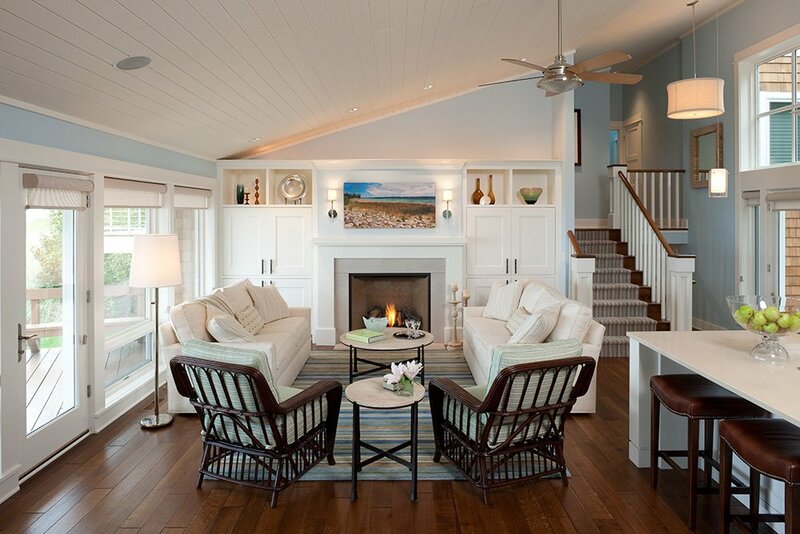 When painted white, the traditional lakeside home interior is fresh and charming. 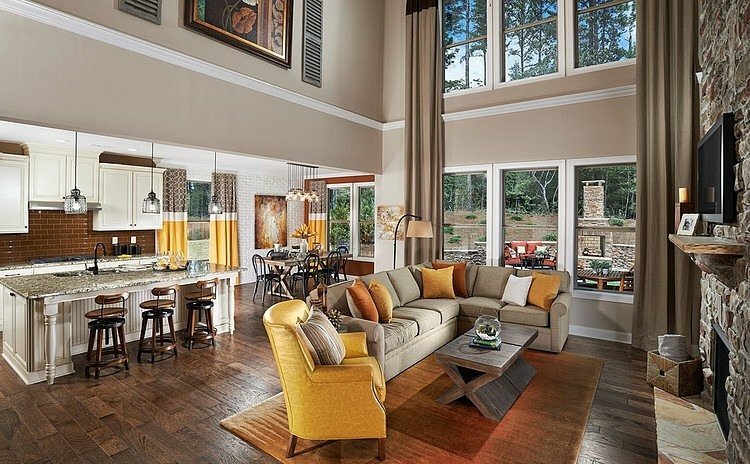 Many lakeside homes are built with an open floor plan to accommodate large gatherings of family and friends. 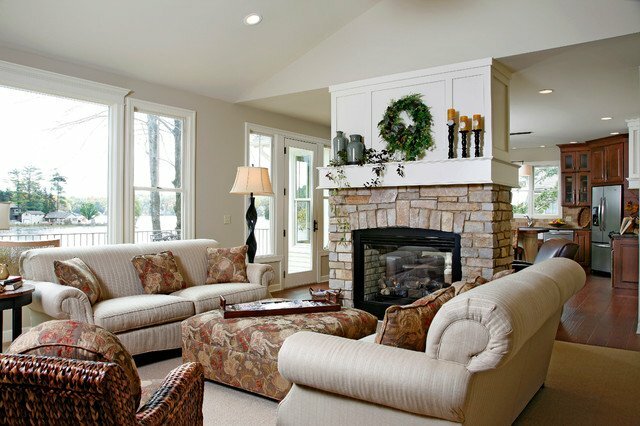 This plan is easily enhanced with plenty of comfortable seating and areas where meals can be enjoyed. A nook for reading and relaxing is often a hidden treasure inside the lake home. This is a place that is cozy and apart from other areas, where guests can linger over a glass of wine or a warm cup of coffee or tea. 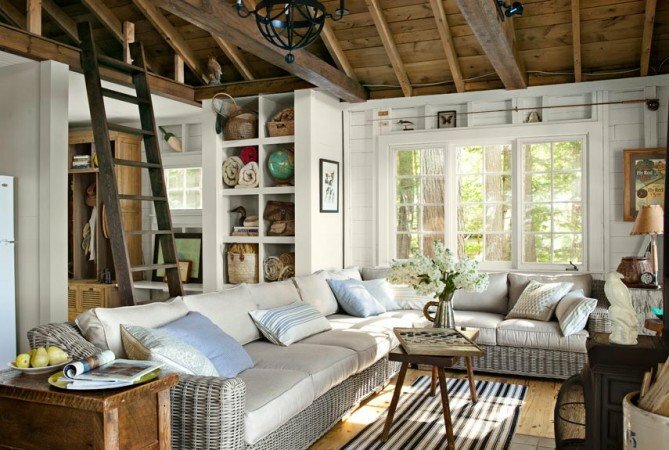 Late night reading marathons or lazy day slumbers are welcome here as well. 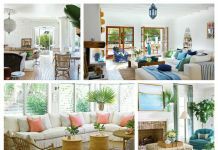 Appointed with a comfy sofa or chair, sufficient lighting and decorative items that recall past summers, this room is complete. 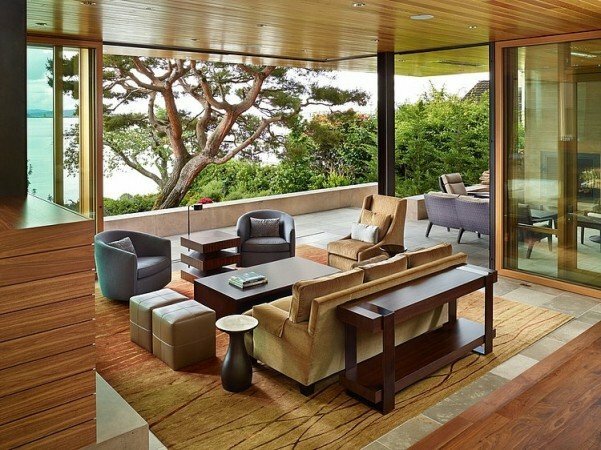 Expand the indoors to encompass the outdoor space. 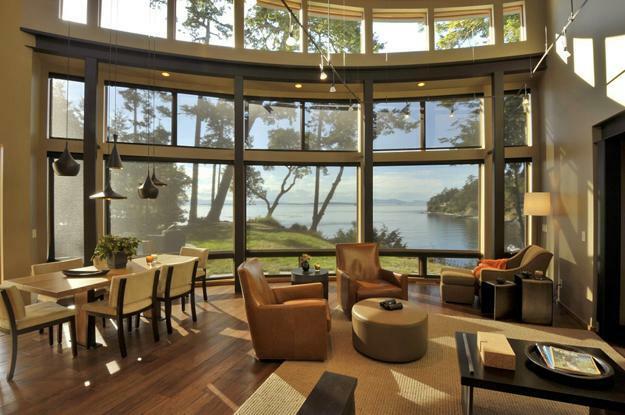 Bring the lake indoors with outdoor living areas right off the main interior space. 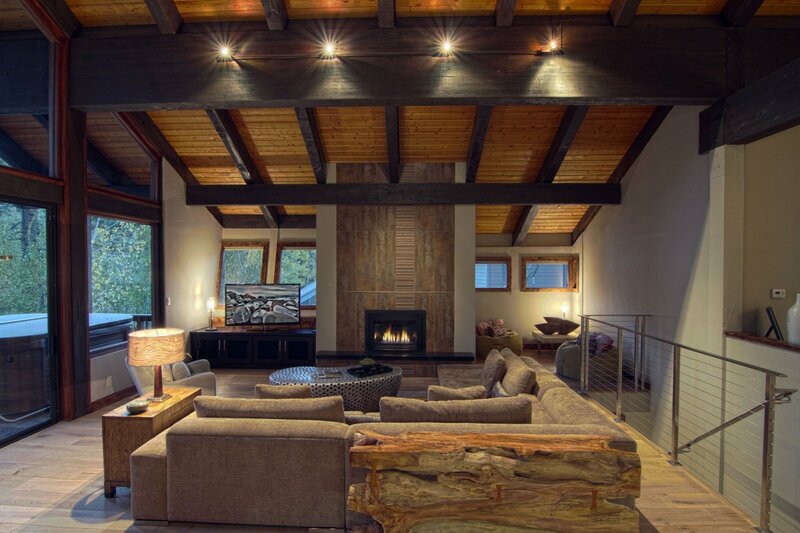 Comfortable seating, a fireplace or fire pit and the view is all that is needed. 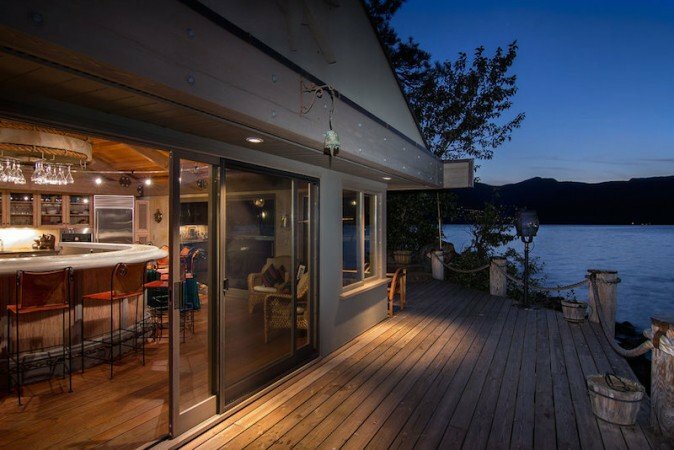 Add a table for al fresco dining to complete the lake home summer experience. 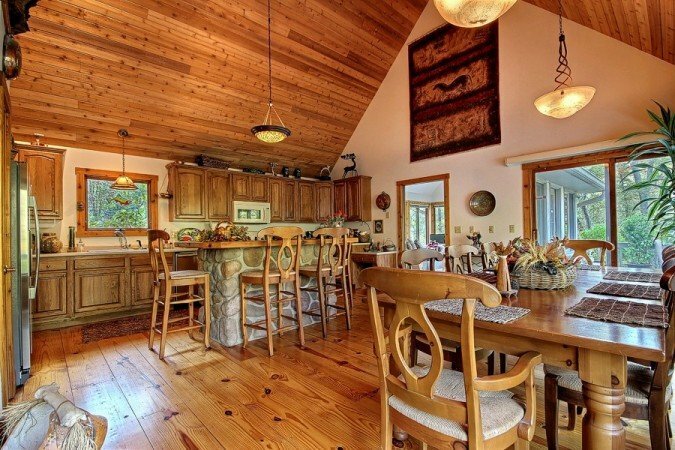 The lake home is a special summer treat, or can be enjoyed year round. 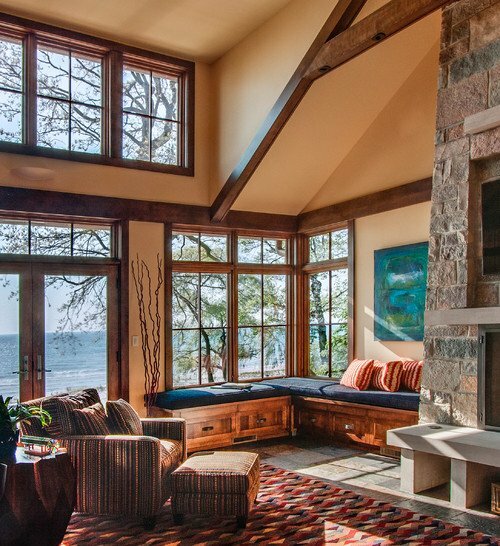 Whether you own a lakefront home or just want the relaxed vibe of one, open up your space and make it comfortable. 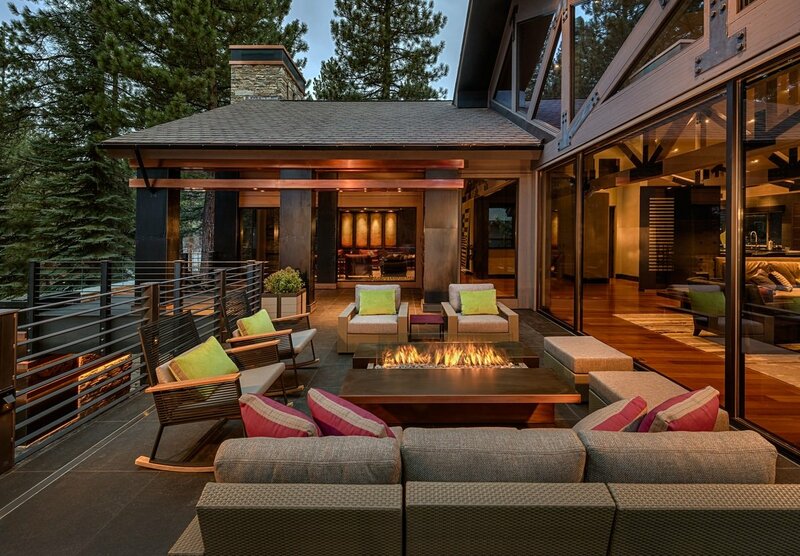 Create a place where you can relax and enjoy your surroundings. Lakeside or not, you can take full advantage of living like it.